If you need assistance with your Boston property taxes, the experts at Paradigm Tax Group can help. Our independent firm is comprised of experienced property tax professionals that are highly reputable and knowledgeable about property taxes in Boston as well as throughout the states of Massachusetts, Maine, New Hampshire, Rhode Island and Vermont. We know that property taxes can make up 30%-50% of your annual operating costs, so we’re dedicated to helping you lower you tax exposure and maximize you tax savings opportunities. At Paradigm Tax Group, our goal is to establish long-term relationships with our customers. No matter what tax management service we perform, we establish an open line of communication so that you can stay up-to-date on what we are working on. You can also feel free to contact us to ask questions or make suggestions on how we can make your Boston property taxes easier to understand. 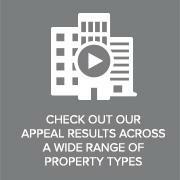 We also give you access to your property tax appeal portfolio via our portfolio management system. You’ll be able to see your personal information at any time using the software’s sophisticated reporting tools. When it comes to representing our clients, we strive to do so in the most respectable and professional manner possible. Our goal is to serve as a seamless extension of your operations. Our consultants work hard to support your financial objectives and we vow to perform all of our services without compromising ethics or morals. We understand that Boston property taxes can be difficult to manage, which is why we offer a variety of services to help you take better control. We can perform a detailed evaluation of your current tax process and tailor our efforts to support it. We can also collect data from your records and evaluate your current property or properties to make sure that they have been correctly assessed. If not, we also offer appeal management and accrual estimates. With our real property and personal property tax experience, the professionals at Paradigm Tax Group can help you manage your Boston property taxes better. Contact us today to get started.